With the tea party raising all kinds of hell in D.C. there are subliminal thoughts of a third-party coming to the forefront again? Pundits have been heard saying the Republicans must stand up to the threat from the right and challenge their fear of primaries. Others suggest the Democrats should do the same, fear not primary challengers from the left. To that I say the Democratic Party has no tea party branch. The closest thing on the left would be the Green Party but, they have never joined forces with the Democratic Party or to the best of my knowledge ran under the Democratic banner. 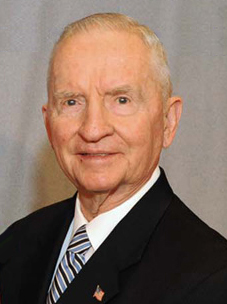 It is well known that both parties fear third-party candidates from the fringe, examples being Ross Perot taking votes from Republican George H.W. Bush giving the election of 1992 to Bill Clinton. Another example would be Ralph Nader taking votes from Al Gore in the 2000 election resulting in George W. Bush being appointed to the presidency. They are for gay rights but against affirmative action. They are for raising taxes on the rich but against excessive government regulations. Having not read the article yet I cannot speak fully on this, but plan on doing so ASAP. This is an interesting concept and should be examined in more detail. Who for example would possibly be considered a valid third-party candidate from the center?